As reported by the 2012 CareerXroads Annual Source of Hire Report, referrals are the number one source of external hires, at 24.5%. The average organization gets nearly a quarter of their outside hires from referrals; consider what a company with an above average employee referral program could do. CEO of TalentSark, Dave Lefkow reports that successful programs have the potential to generate 50-75% of your hires with a minimal investment. As Josh Bersin said, “Mobile is not a platform, mobile is the platform. Referrers and candidates alike want a streamlined, easy to navigate process. We’re all on the go; your referrers need to be able to send a quick and easy referral your way. They should also be able to direct their referred candidates to a mobile friendly career site. It may be called an employee referral program, but organizations should really extend the program to include any person who is invested in the company’s success. This could include former employees, your retired workers, friends and family of employees or anyone who has a good understanding of the company culture and goals. The user interface of your employee referral portal can really make or break your program. People will opt out of a lengthy or confusing system, and that’s a referral lost. You have to make the process as simple and quick as possible for the best results. The right software will allow you to keep track of quality referrals and who they came from. The opposite is helpful too though; you can keep track of who is consistently referring candidates of poor quality and even mark them as ineligible for the program. Make sure that your referral pool has all of the information that they will need to make a quality referral every time. Referrals are #1 in retention with a 46% retention rate after one year (compared to 33% from career sites and 22% from job boards). These are the people you want! Make sure that there are no roadblocks between them and you. Educate your referral pool about the company culture, the vision, goals and even the perks. Make sure that they can answer questions from the candidate optimally, with the most information. -Ask for mention in the company newsletter. -Switch up prizes and notify your participants. -Alert everyone when a successful referral is made and what the reward was. -Remember that cash isn’t always the most powerful motivator. Try vacation days, a great parking spot, catered lunches or work from home days. -Team up with a charity and make donations a prize option. Standard rewards are a great motivator, because people know exactly what they can expect for their successful referral, but there is always something to be said about personalization. A hand-written note, a lunch from their favorite restaurant or a gourmet coffee every once in a while are ways that you can personally give value to their contributions. Let those quality referrers know what their sponsored candidate can expect from you. Put their resume on the top of the stack, don’t make them wait for a response or any communication, and confirm that they will be treated respectfully. Some recruiters will even guarantee an interview to those candidates referred by a consistently great referrer. This instills a higher level of confidence in both the referrer and the candidate. So many referral programs fail because they were launched with no, or not enough dedicated resources. When your recruiting team is too busy to follow up with referrals, you’re sending the message to referrers to stop making referrals. Before launching your program, you have to be sure that there are enough hands on deck. The promise of great prizes, working with friends and contributing to the organization’s success is very appealing. Employees will be excited and ready to submit names, have the resources ready and waiting. Be flexible with rewards and incentives. The more successful referrals that a referrer can bring in, the higher their rewards should be. There should also be rewards for quality referrals that happened to not work out. Sometimes simply supplying a name or social connection is worth some sort of incentive. One name can often open up several doors. The level of engagement with the employee referral program should be directly reflected in your rewards system. Some organizations will exclude HR and/or management from being eligible to make referrals because it could look like preferential treatment, or even a ploy for the incentive. These are the most well connected members of your organization, it makes no sense to leave them out of the program. Consider making them ineligible for the rewards, or make it possible for them to gift their reward to a deserving employee. You can also designate their reward to charity. Everyone really does win. Retention is higher, productivity doesn’t have to suffer because referrals have a reduced time-to-fill, referrers get rewards and the company can save resources on other recruiting practices. Highlight all of the reasons that it is beneficial to workers to be a solid part of the referral program. In a survey, 70% of employers felt referred hires fit the company culture and values better than non-referred employees. Successful collaboration and innovation will often stem from teams with common goals and values. It’s not just about making recruiting “easier” or even finding the right talent; in business, you can never forget about the bottom line. 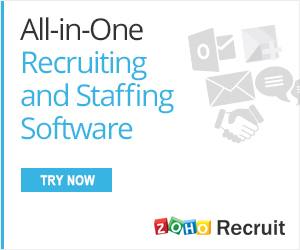 A Jobvite survey revealed that 51% of employers said it was less to expensive to recruit via referrals. There are numerous reasons that it makes great business sense to invest in improving your employee referral program.